Reveal geospatial information with the sophisticated map visualisation and location-based analytics tool. Due to the complexity of geospatial information, location data is often difficult to analyse. Qlik® GeoAnalytics is a platform Qlik applications that compresses and streams geoanalytic mapping data. Using automatic geo-data lookup, add maps and overlay them with data visualisations. Analyse geo-data or geospatial data along with non-geo-data to reveal crucial hidden geographic relationships. Resource allocations, delivery times and site selections are a few of the many decisions that are impacted by location information. 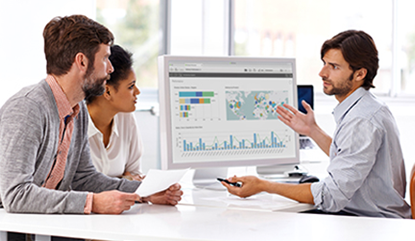 GeoAnalytics maps provide visual information to help Qlik customers make informed decisions based on location. GeoAnalytics presents the data in formats familiar to most users, such as maps. Users can use this relatable data to gain insights into patterns that are otherwise not easy to understand, such as data presented in tables and charts. 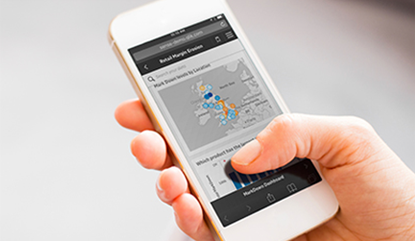 Users can supplement location data, including cities and countries, with geo information, enabling them to add rich, interactive geo visualisations to their existing Qlik apps. Customers can expand their mapping solution by building on their existing tools as Qlik’s mapping products and tools run on the same platform.